Donald Trump has hit out at Chelsea Manning labeling her an “ungrateful traitor” in a tweet. The president made the comments after Manning criticized Barack Obama. “Ungrateful TRAITOR Chelsea Manning, who should never have been released from prison, is now calling President Obama a weak leader. Terrible!” the tweet read. Manning responded to Trump’s tweet a few hours later, simply replying “OK? Whatevs,” as well as including a link to the video for the song ‘Dirt Off Your Shoulder’ by Jay-Z. “The one simple lesson to draw from President Obama’s legacy: do not start off with a compromise. They won’t meet you in the middle. 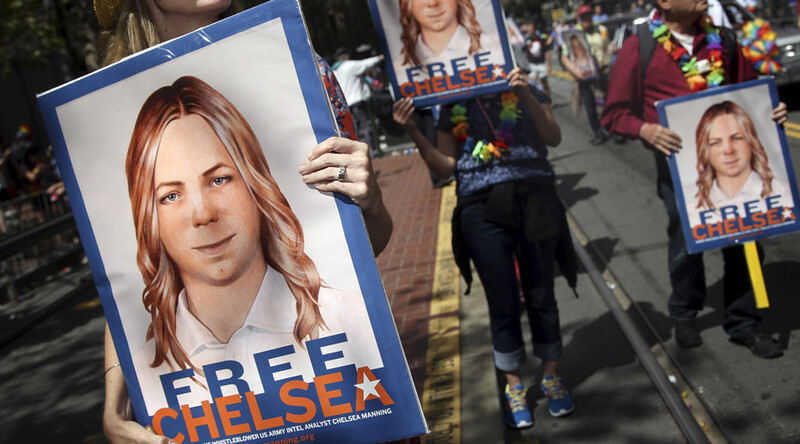 Instead, what we need is an unapologetic progressive leader,” Manning wrote. WikiLeaks also posted an image to its Facebook page highlighting a previous tweet from Trump, dated July 2016, in which he too referred to Obama as "weak." Journalist Glenn Greenwald also noted in a tweet that the president's remarks Thursday appeared to echo those of a Fox News broadcast. Manning will be released on May 17, as opposed to serving her original sentence which would have seen her in military custody until 2045.